Looking for the ultimate Montana vacation? 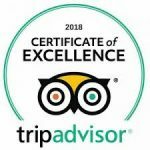 As an award-winning Bozeman, Montana hotel, our spacious and comfortable hotel is the ideal place to start your Montana adventure! Our large rooms & suites offer superior comfort, and our location near local area attractions and the Yellowstone National Park makes the Best Western Plus GranTree Inn your best choice for Bozeman accommodations! Do you have a Group Booking ID? Enter a group booking ID to get your discounted price. Whether you are here to ski, shop, hike or get away from it all, our hotel brings the best of Bozeman within easy reach. Our hotel is perfect for family, leisure or business. The Best Western Plus GranTree Inn is known for it’s prime location and warm hospitality. Our well-appointed guest rooms allow each guest to feel at home, while our luxurious amenities allow guests to indulge during their vacation in Bozeman, Montana. Each room in our Bozeman hotel comes equipped with a lush king sized bed and luxury linens, and features exciting in-room amenities like sofa beds, high-speed Wi-Fi, while our spacious suites come with amenities like Jacuzzi’s and comfortable sitting areas. 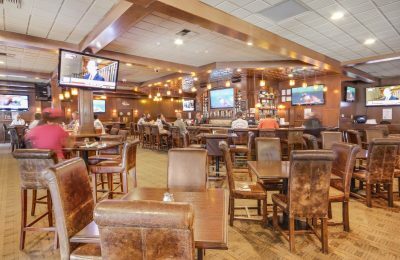 Regarded as one of the best dining establishments in Bozeman, The Club Tavern & Grill is an upscale sport’s bar featuring 12 TV’s, a casino and full-service bar. Offering a delicious all-American menu that serves breakfast, lunch, and dinner in a casual, friendly environment. Enjoy our seasonal outdoor patio in the warmer months with food and beverage service! Open daily from 6:00am – 10:00pm. 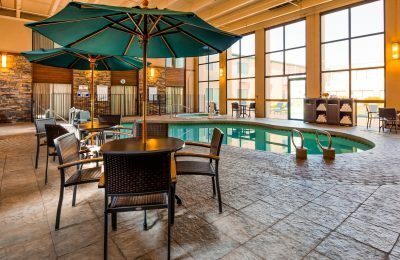 Our tranquil pool & hot tub area is the perfect place to relax after a long day spent exploring Bozeman. Relax with friends and family on one of the areas many tables and chairs, or take a dip in our large swimming pool, all while taking in the beautiful views from the large floor to ceiling windows. 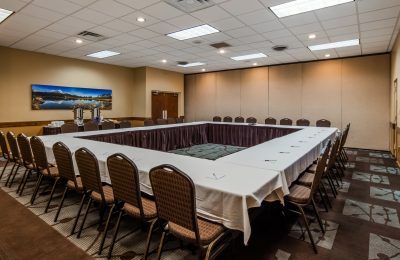 Our hotel features ample event space, perfect for your next Bozeman conference, wedding or meeting! Our hotel features 13 unique event spaces, each with their own unique size and capacity. To learn more about our hotel’s event venues check out our Meetings & Events page! 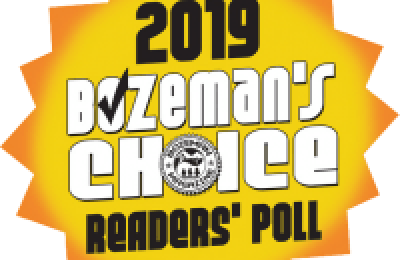 Our on-site restaurant The Club Tavern & Grill is proud to be voted ‘Bozeman’s Choice’ for 2019 in seven categories including: best happy hour, best wait staff, best appetizer, best bartender, sports bar, bloody Mary, and best bartender! 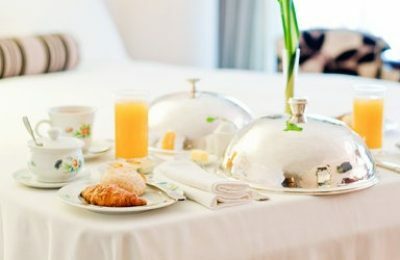 Best Western Plus GranTree Inn is pleased to be one of the few hotels in the vicinity to offer the supreme convenience of room service. Our on-site restaurant, The Club Tavern & Grill, serves three meals a day from 6:00 AM to 10:00 PM every day. Kick back, relax, and treat yourself to drinks, a meal, or a late-night snack from the comfort of your own room. It’s as easy as picking up the phone! Our hotel’s prime location close to downtown Bozeman and area attractions like Montana State University and the Museum of the Rockies makes our hotel a prime choice for guest’s visiting the area. Traveling to Bozeman for work? 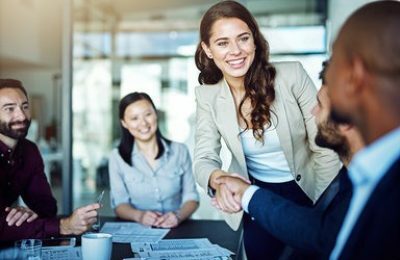 Our hotel’s on-site business center is the perfect place to get some work done before your next big Bozeman conference, and our proximity to Bridger Bowl Skiing, Big Sky and Yellowstone allow you to squeeze in some fun! Our shuttle service allows guest to get around the city without a hassle! We offer a 24-hour complimentary shuttle service to and from the Bozeman Yellowstone International Airport, in addition to our local city shuttle service that brings guests to destinations throughout the city of Bozeman. Book your stay at Bozeman’s Best Western Plus GranTree Inn today! Summer Hotel Deals in Bozeman! Rates starting as low as $119! *Kids Eat Breakfast Free Every Day!